Posted by Victoria Bond to the School Guide Blog on 03 March 2013. Parents are familiar with the 5-a-day message but a growing number of children are being put on a different kind of health regime to get ahead at school. Welcome to the world of the new Media Diet. The Media Diet – or Digital Rationing as it is also known – involves slimming down kids’ use of electronic devices including TV, smart phones and iPads. Apps are treated with the same caution as carbs on the Atkins Diet and TV programmes are checked for empty calories. Quality not quantity rules. Why? Experts say that it may give children the academic edge over their peers. A study published in the American Journal of Paediatrics has found that children who are exposed to quality, educational and age-appropriate television programmes and media are better behaved – and may perform better in the classroom. 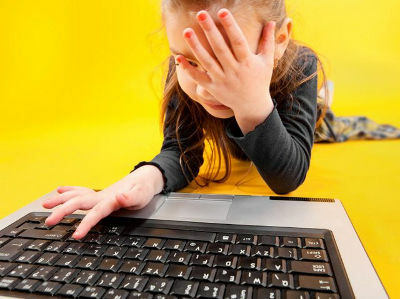 According to Dr Dimitri Christakis, director of the Centre for Child Health, Behaviour and Development at Seattle Children’s Research Institute who led the research, the effect of the amount of screen time on children is well documented. “Part of the new message is not just about turning off the television but also about changing the channel,” he told Time.com. For some parents, however, switching out quick fix TV and media is only half of the story. Some advocate a complete switch off once a week in order to give their kids a head start when the school bell rings. According to Dr Christakis, the Peters’ family experience is not uncommon. Half of the 617 families he tracked saw positive results from putting their children on a Media Diet and switching out programming with more aggressive and violent content for educational, pro-social media. He says: "The group who slimmed down for six months demonstrated more co-operative behavior and better concentration. These are essential skills that serve to enhance learning when out of the home." Christakis does not prescribe a complete detox – but for some families it is the only option. “In a way it’s easier. No TV feels harsh and we don’t want to be anti something that, on occasion, we all love. We recently watched Richard Attenborough’s Africa as a family and it was a special event. Saying no to everything makes Switch Off Sunday (SOS) the special event. It doesn’t always mean we set up the Monopoly board by candlelight or get all hair shirt about it. Sometimes SOS is just a day out with no phones or a pizza lunch with no iPads alongside pudding.” Jane reports battles over spelling and practising times’ tables are reduced during the times that the family power down. Other parents report tackling their child's media in the same way they moderate their own alcohol consumption. "We try and do a couple of nights off a week with our kids just as the government recommends we do with our drinking," says Phil Gray from Beckington. "Tuesdays and Thursdays they both go to after-school sports and get home late. So it's no TV that night; and computer access only for essential homework. They also have Golden Time on Fridays. When they get home from school they can go on anything - within reason." So, where do you start if you want to put your child on a Media Diet? 1. Use media together. Whenever you can watch, play and listen with your kids. 2. Be a role model. Use media the way you want it be used by them. Don’t bring your phone to the dinner table and turn the TV off when it’s not being watched. 3. Keep an eye on the clock. The secret to healthy media is to establish time limits.